Even if we are a french company, we are proud to count customers all over the world. You can download our sale list (as an Excel file) there. Since my childhood, I 've been collecting seashells. In 2003, I started publishing a small exchange / sale list ; made of some dozens of species to start with, the list quickly increased. 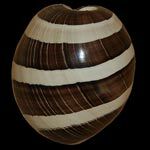 Finally, I created a personal company devoted to specimen shells, registered in France under the number 384 750 501 00023 and of which Coqs en stock is the showcase. 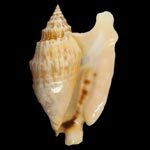 Our goal is to offer selected specimen shells, correctly identified (although nobody is infallible and taxonomy is a rapidly changing field), at reasonable prices. 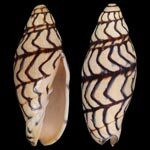 Even if you will find some exceptional pieces on our list, we are mostly trying to offer the largest choice of species, not only in the more popular families as Cypraeidae or Conidae but also in families less represented among sellers, as for exemple a large selection of terrestrial mollusks. 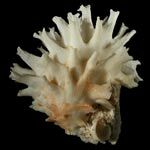 We have now about 1000 species in stock, and regularly increase it. HOW ARE THE SHELLS GRADED ? * Gem : perfect specimen to the naked eyes. * F+++ : very small defect, for exemple a tiny scar on the spire, or a very slightly rough lip, or a small natural growth line. * F++ : more pronounced natural growth lines, small scars, lip filed (not trimmed) ... this is the average quality of a specimen shell. * F : numerous heavy scars, lip broken, erosion... these are not nice shells, but some species never come better - or at stratospheric prices. * Good : dead shells, faded colors. 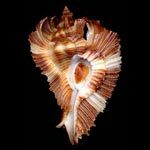 We rarely list such shells, only for some rare species. In the microcosm of collectors, how dealers are grading is an endless source of discussion, and sometimes of resentment. 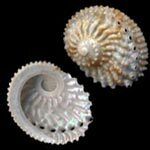 No more than the others, we escape some subjectivity when rating a shell. However, we try to do it with care and honesty in describing the defects in our list. * The notion of "naked eye" is essential: under a magnifying glass, no shell remains Gem. * Some species, including in some families as much collected as Cypraeidae, are - almost - never Gem found. * Any shell that does not match your expectations will be returned for exchange or refund. WHAT ABOUT THE SHELL SIZES ? 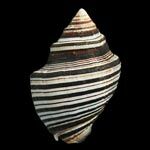 To size a specimen, we indicate the maximum measurement obtained between two points of the shell : this is mainly the distance apex/canal, but not always (consider the case of the genus Lambis for example). In our list, we indicate the range of available sizes : if you absolutely want to get the maximum size, please indicate it specifically when ordering. HOW ARE THE DATA LABELS ? 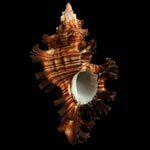 We are trying to provide the most complete informations about the conditions in which the shells are collected. 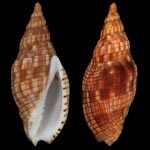 However, the shells are coming from various sources - personal harvests, exchanges, purchases from foreign suppliers, sometimes old collections, etc. -, so the accuracy of these informations is necessarily very variable. 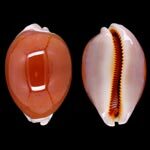 In the worst case, only the country which the shell come from is indicated on the label that accompanies each specimen. In the best case, the label contains the exact place where the shell was collected, the date, the way of collecting and indication about the biotope. These data are reproduced only if I am convinced of their reliability. IMPORTANT : The data labels are written in FRENCH. Of course, I will be pleased to translate any word that you cannot understand. WHAT ABOUT THE PICTURES ON THE LIST ? When only one shell is on stock, the picture is obviously the one that will be send. When multiple specimens are available, the picture is representative of the lot. When ordering, you may request a particular specimen visible on the photo, however, there is no guarantee that it is still available. The best I can do if it is not is to select a specimen with the characteristics as close as possible to your wish. WHAT ARE THE SHIPPING COST ? Our shipping costs are reflecting the actual cost of postage. For foreign customers, we are offering the postage for order exceeding 400 € (except for very heavy shells). Low value shells could be sent by non registered airmail at your own risk and not for Paypal payment. Please inquire. Small parcels (thickness < 3 cm) can be sent for lower shipping cost - please inquire. Heavy parcels (> 1 kg) for Germany, Belgium, Luxemburg, United Kingdoms, Spain, Austria, Italy and Portugal could be sent by Mondial Relay for quite lower price. Please inquire. Absolutely not, but you may consider the cost of international shipping when ordering only for 5 € of shells. WHEN WILL THE PARCEL BE SENT ? Parcels are usually shipped 24 to 48 hours after the order, and sometimes the same day for small orders. CAN I RETURN THE SHELLS ? Despite all our efforts, it may happen that you decide not to keep some shells. If it is a question of quality of the shells, we would appreciate a short explaination - no obligation. You can return any item within 14 days of receipt, properly packed and protected (this is important, in case of breakage you are responsible) for refund or exchange. If by any chance we were responsible for a glaring error (eg a major flaw not shown), we also undertake to pay the return shipping cost. HOW PAYING THE SHELLS ? * Bank transfer in Euro (please ask for our bank details). They are usually free of charge within U.E ; from outside U.E, please take the fees at your charge. * Paypal (fees at your charge : 4%, unless you use "family/friends" option). * For small amounts, you could also send cash in registered mail, but this is at your own risk. Please don't send any payment before receiving the confirmation of the availability of the shells, and the invoice including the shipping charges. IS COQSENSTOCK.COM LOOKING FOR SUPPLIERS ? We are constantly looking for new suppliers based in the entire world. Currently we are looking in particular for reliable contacts in Africa (Tanzania, Senegal ...), in South America, in the Caribbean, the Solomon Islands, the Marquesas, etc. Our goal is to build long-term relationships, which is the case for most of our current suppliers. Do not hesitate to contact us. HOW TO RECEIVE THE NEXT LISTS BY E-MAIL ? In suscribing to our newsletter, you will receive the complete list of available shells after every major update - i.e 5 to 6 times per year. Don't hesitate to contact us for additional question.